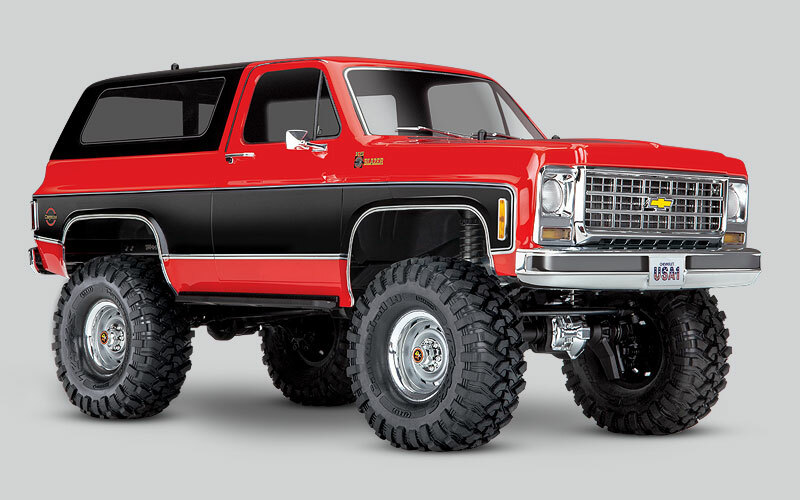 Outfitted with replica Rally wheels, a highly detailed chrome grill, and a full complement of scale details, the TRX-4 Blazer combines the iconic style of the Blazer with toughness and technology of the TRX-4 Scale and Trail Crawler. 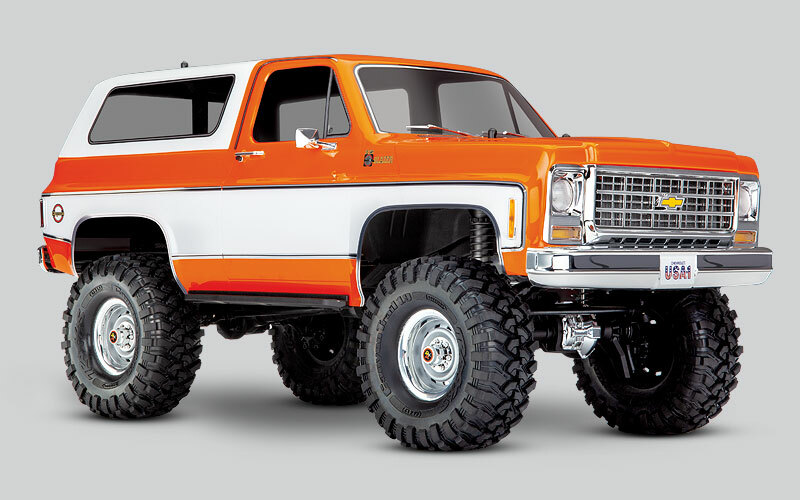 The Blazer's portal axles lift the truck at the wheels for huge center pumpkin ground clearance while virtually eliminating torque twist. 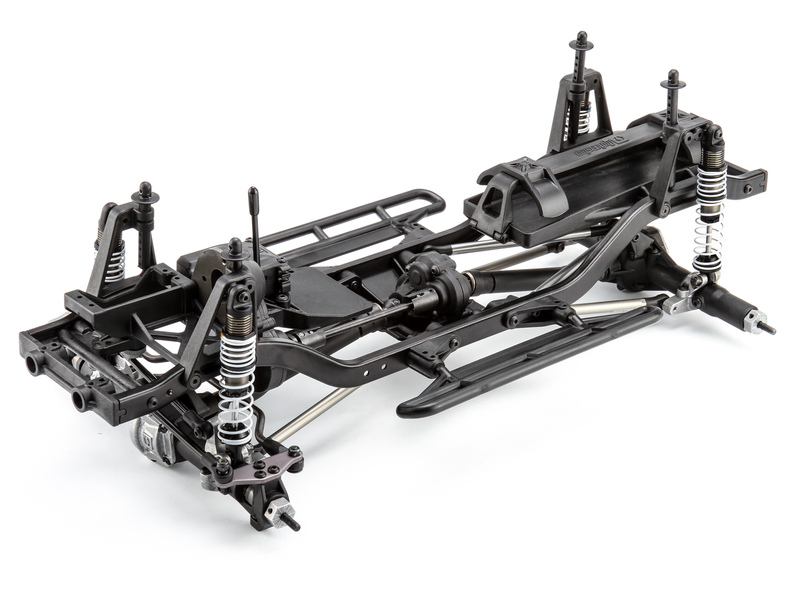 The TRX-4's highly adjustable chassis offers a nearly endless supply of upgrades ranging from lift kits and portal weights to full LED light kits and tough aluminum accessories. 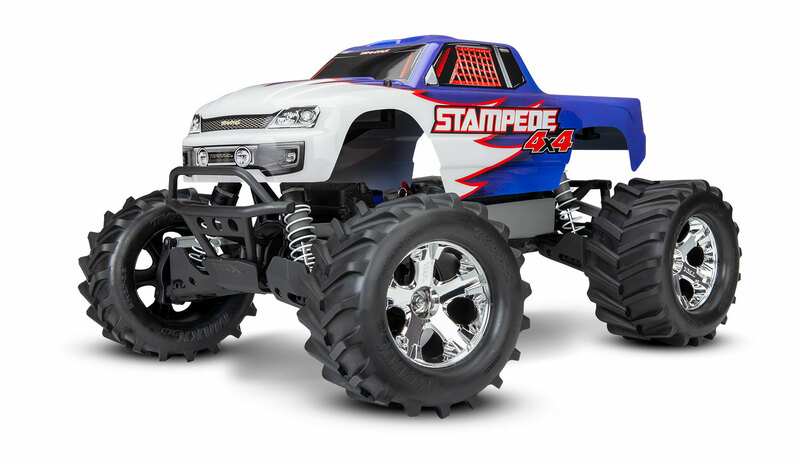 The Traxxas Stampede 4X4 is incredibly versatile, tough as nails, and fun to run anywhere. 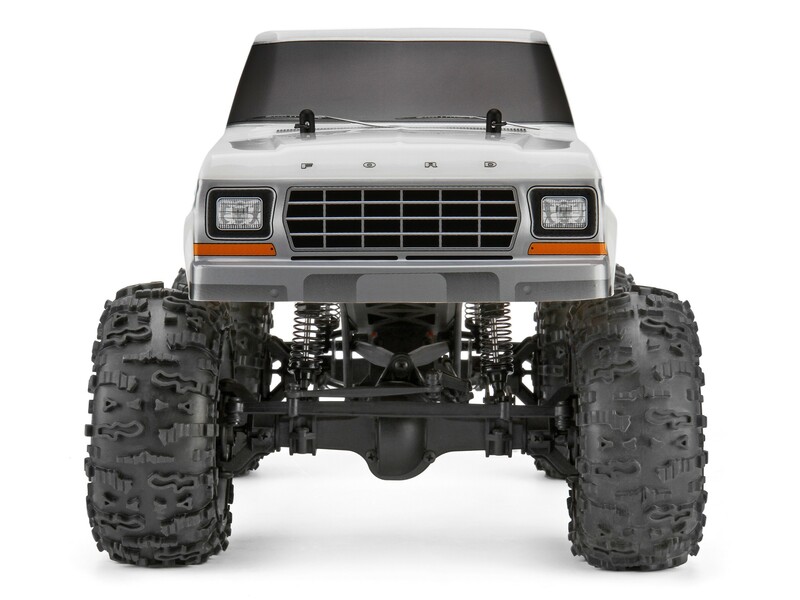 You won’t find a better 1/10 scale 4X4 monster truck out there and now you can build it yourself with the custom setup you choose! The new Stampede 4X4 Unassembled Kit lets you enjoy a satisfying build session with a precision-engineered, high-performance machine—but that’s just the start. 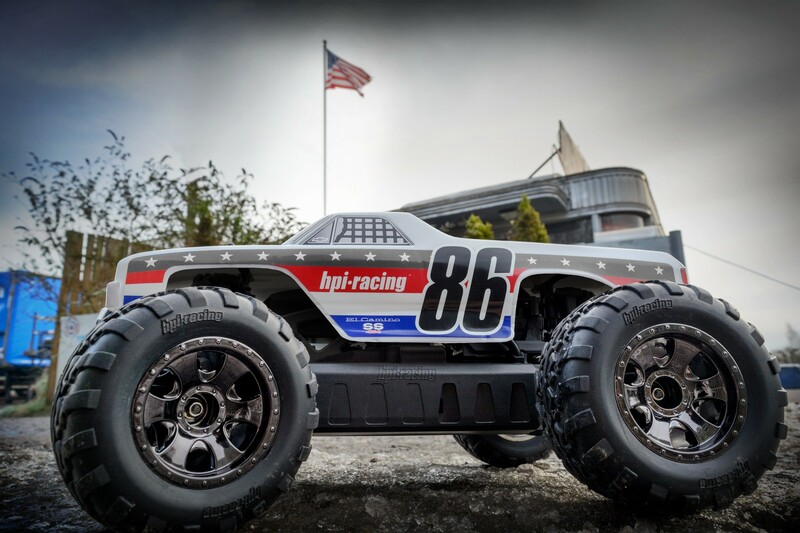 Traxxas leaves the paint scheme and electronics choices to you, so you can build it your way. That includes adding upgrades along the way, and there are plenty to choose from--take a look. 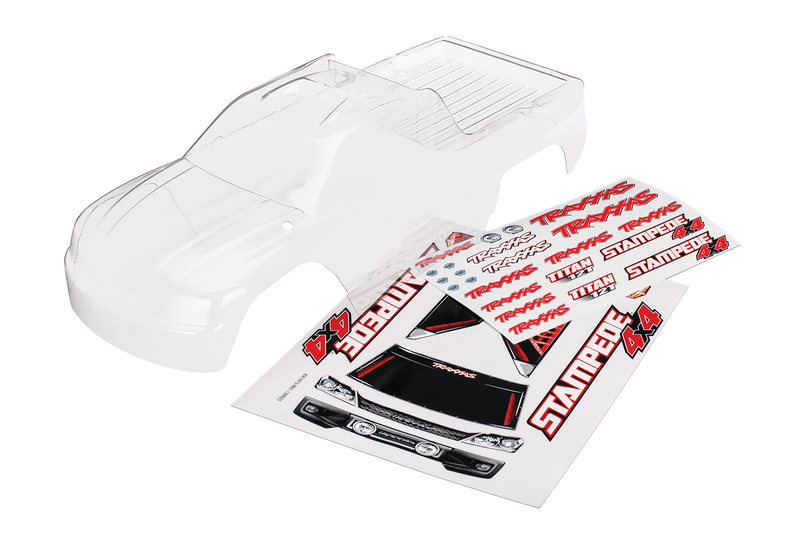 The Stampede 4X4’s sleek pickup-style body arrives ready for paint with overspray film and a full set of decals for a great look whether you blast it with a single color or go all out for a custom look. You can skip trimming the plastic though—Traxxas does that for you. When your paint job is done, the body is ready to mount! 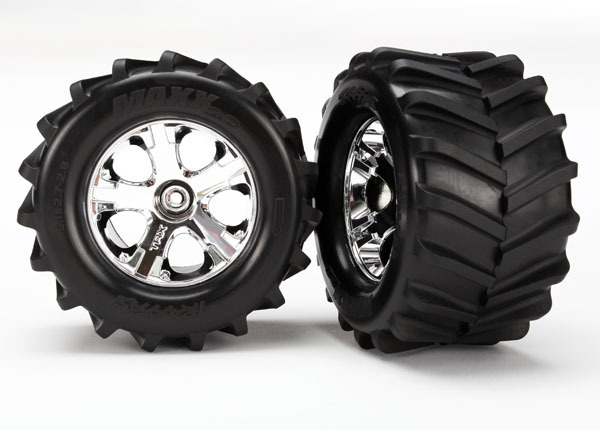 The Stampede 4X4’s hard-working, long-wearing Ultra Shocks are proven performers. High-capacity bodies, dual X-ring seals and hard-chrome shafts provide super-slick action that lasts, and Ultra Shocks are fully tunable with a wide range of oils, springs, and pistons. No beef was spared in the drivetrain department. 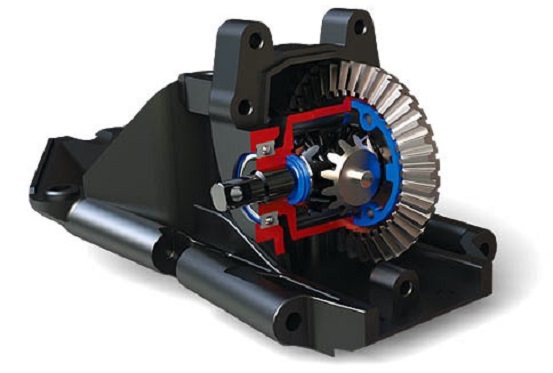 Rugged 32-pitch pinion and spur gears are ready for brushless power, and the innovative Torque-Control™ Slipper Clutch provides extra overload protection. 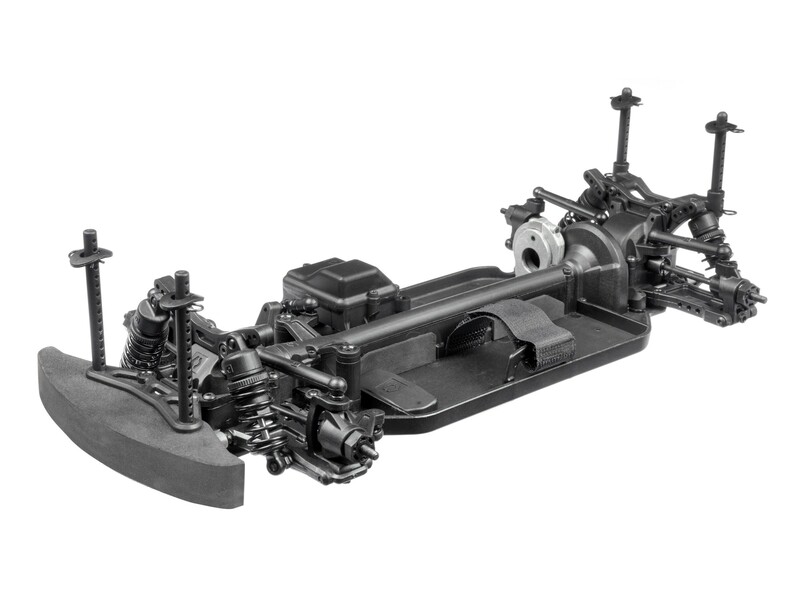 Steel-gear, Revo-spec™ differentials are built to handle high-output power systems, and the Stampede 4X4’s smart design makes diff access easy: just remove the front or rear cover and the entire differential slides right out. A monster truck has to have big tires, and the Stampede 4X4 delivers with 2.8” rubber that performs on all kinds of surfaces. Off-road, the tall tread bars provide major forward bite and throw big roosts; on pavement, there’s some side-grip give so you can power-slide through turns. Tough, stylish All-Star chrome wheels hold the tires with a horizontal bead design that makes gluing easy and holds fast. 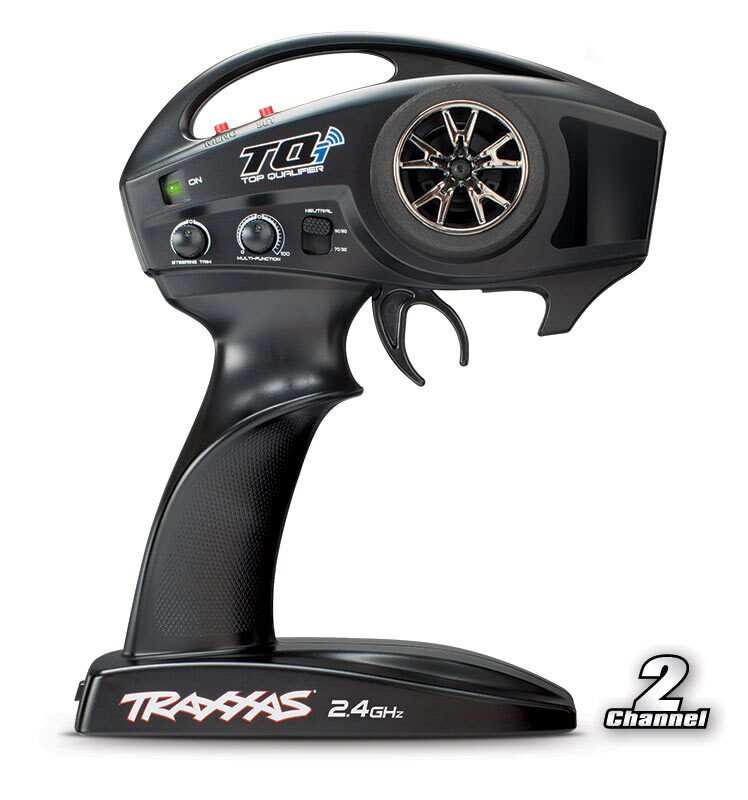 The powerful #6509R TQi™ radio system gives you long-range control with the power of Traxxas Stability Management® (TSM). With a twist of the transmitter’s Multi-Function Knob, you can turn up the electronic stability system for enhanced control in low-traction conditions—even ice! Dial in as much or as little assist as you like—or turn TSM off. The XL-5 electronic speed control is a proven trouble-free performer. Choose from three driving profiles and hit the dirt with smooth, reliable throttle control. Sport Mode delivers full forward/brake/reverse control; Race Mode locks out reverse; and Training Mode™ reduces speed and power by 50% for new drivers. And it's waterproof! 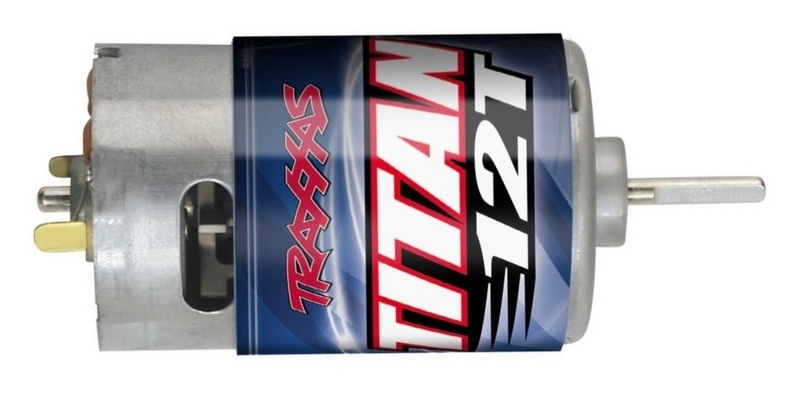 The #3785 Titan® motor's 550-size can houses larger magnets for more torque than 540 motors, and its 12-turn armature is optimized for torque and RPM, delivering speeds over 30mph. An integrated cooling fan keeps the Titan running strong, run after run. Gotta have a strong servo when you’ve got a pair of powered monster-sized tires to steer. 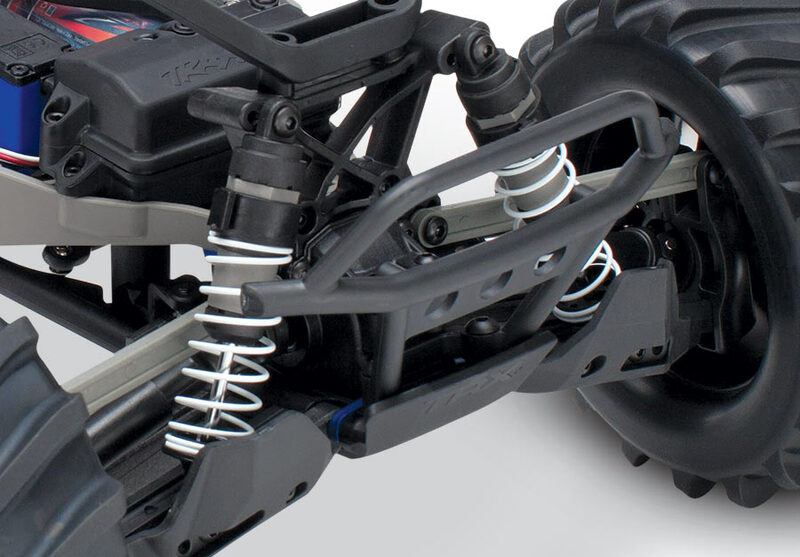 The Traxxas #2075R comes through with heavy-duty metal gears to keep you in control. 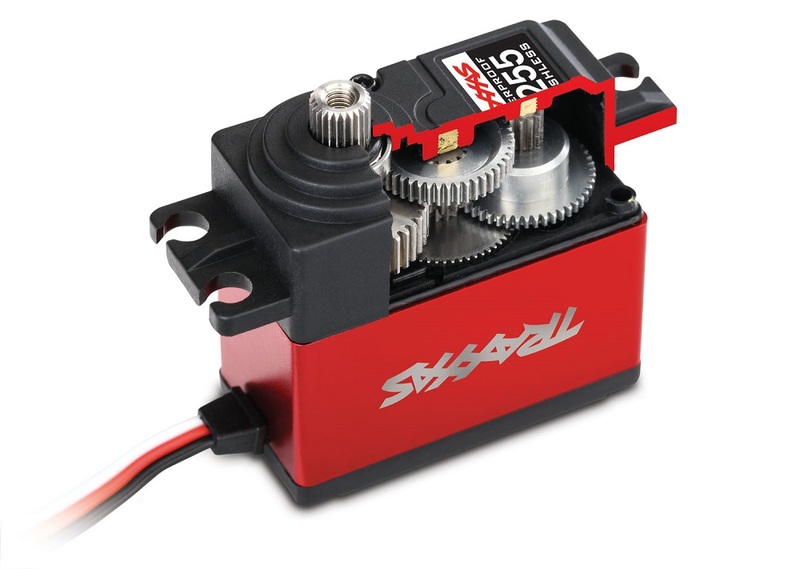 Speed, strength and precision make this servo a perfect complement to the TSM system. The standard electronics listed above are a good place to start if this is your first rodeo. 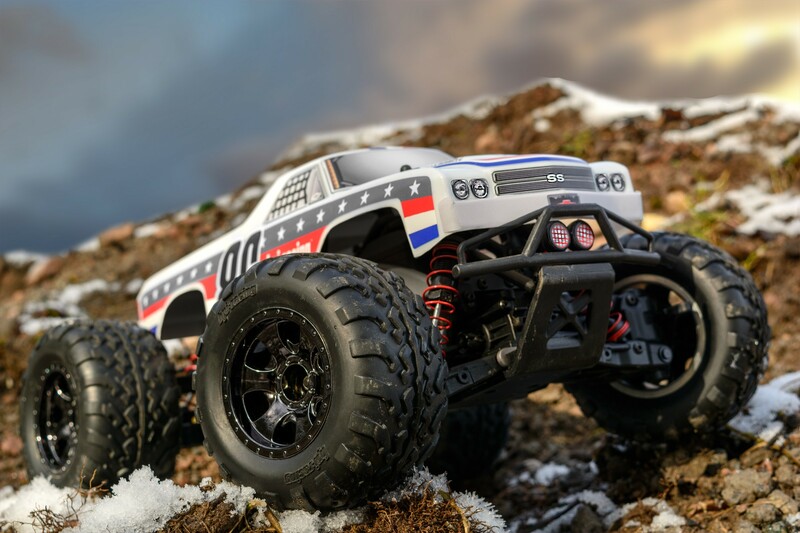 But if you want to build the fastest, best-handling monster truck, Traxxas has the brushless power system and servos you need for over-the-top performance. The Velineon VXL-3s™ speed control and 3500 motor (#3350R)doubles the Stampede 4X4’s speed to over 60mph*, and unleashes massive wheelie-popping torque. 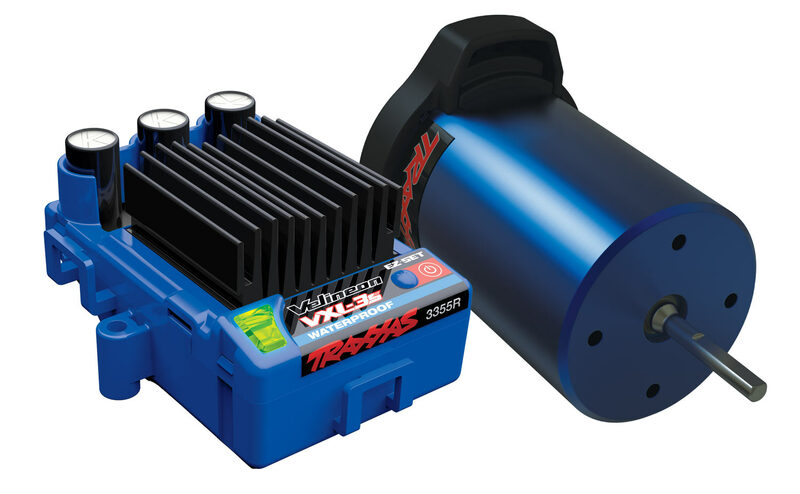 The VXL-3s speed control’s high-frequency transistors and advanced circuit design deliver incredibly smooth and refined throttle control, and of course, it’s waterproof. 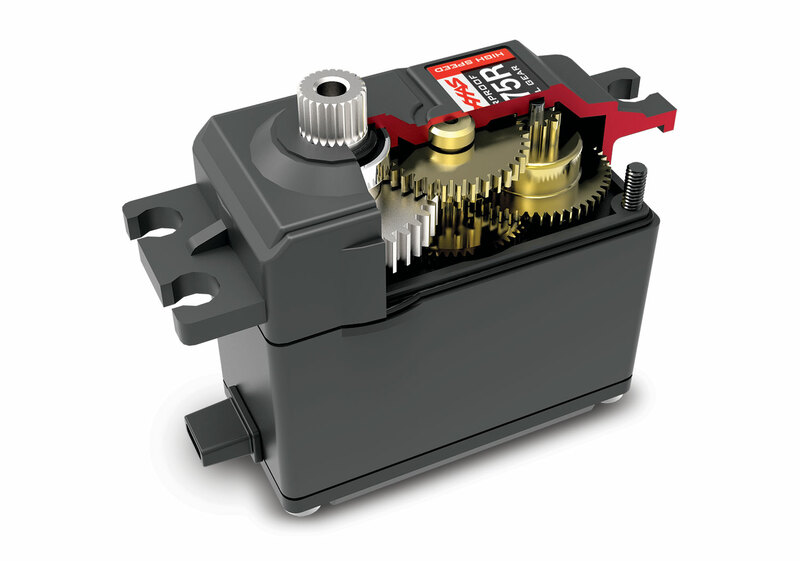 The #2255R 400 Red High-Torque servo kicks up the power to 400 oz.-in. thanks to a brushless motor and steel gears. To boost performance and style, 400 servo gets a heat-dissipating, red-anodized aluminum mid case with etched logo. 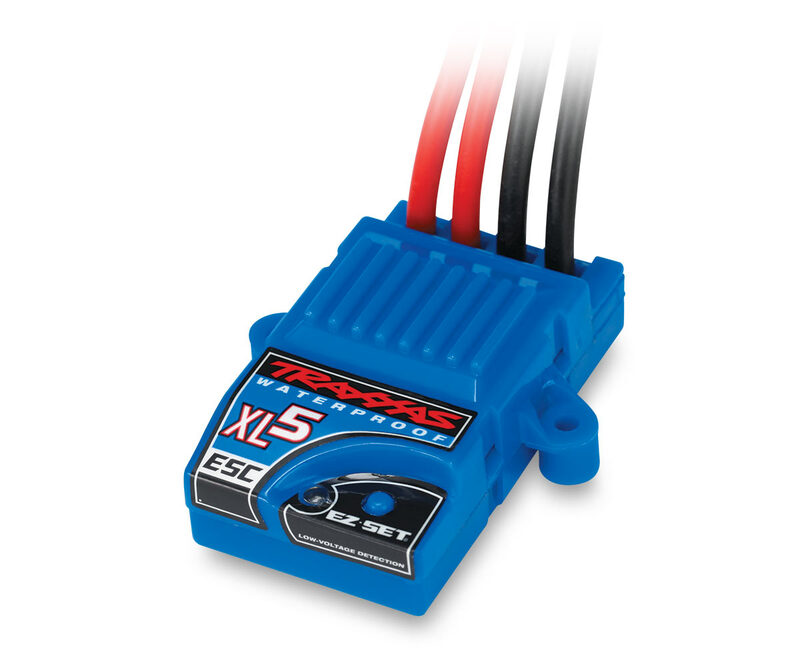 If you’re pairing the 400 Red servo with a Traxxas #6533 receiver, it is recommended install the #2260 High-Output BEC. 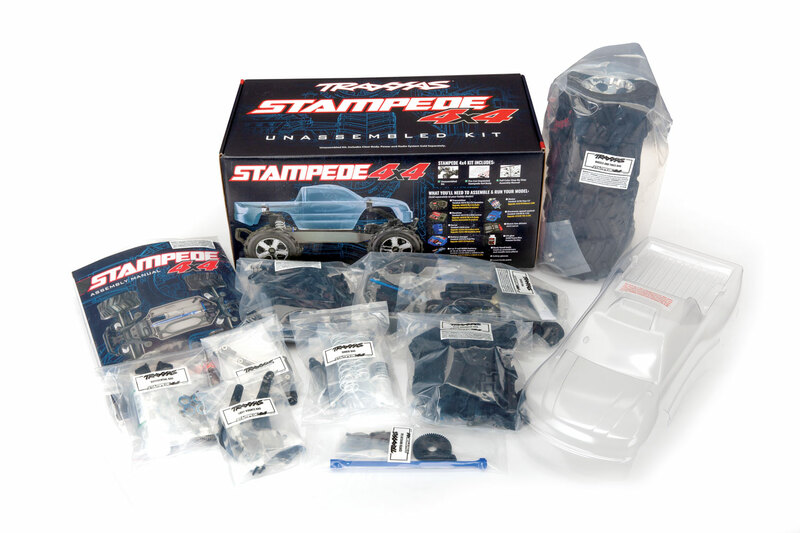 The Stampede 4X4 Unassembled Kit is for anyone who enjoys a rewarding build session and good ole monster truck fun. Install your favorite gear and add hop-up parts as you build, dial in the setup just the way you like…every step of the build is an opportunity to do it your way. Don't forget the body! This is your chance to make a statement with your truck. From mild to wild, the only limit is your imagination. Happy trucking! 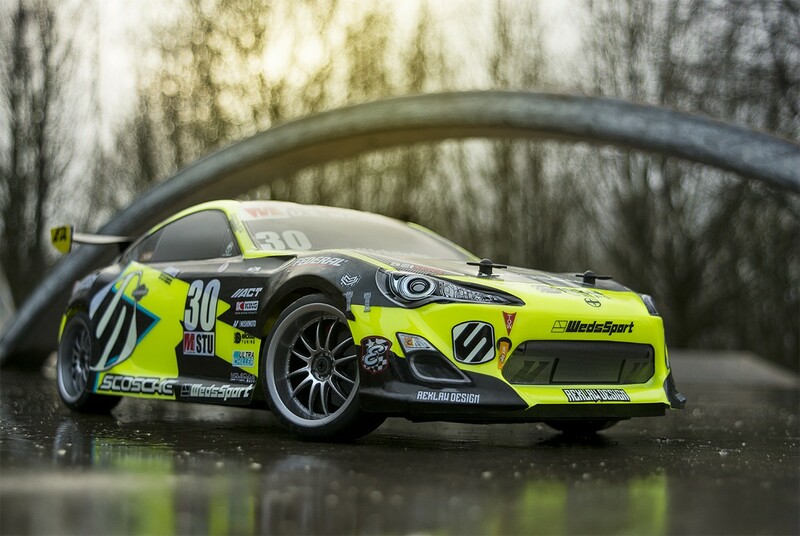 Hpi Racing NEWS For 2019 - Parade Starts Here! For 2019, there's a TON of new HPI releases on the way! We've kicked off the new year with a massive amount of different products ranging from the awesome WR8, 1/10th scale E10 and RS4 Sport 3 cars, updated Jumpshot V2.0 trucks, a new Savage XS Flux and Crawler King, and TWO different Venture scale crawler trucks! 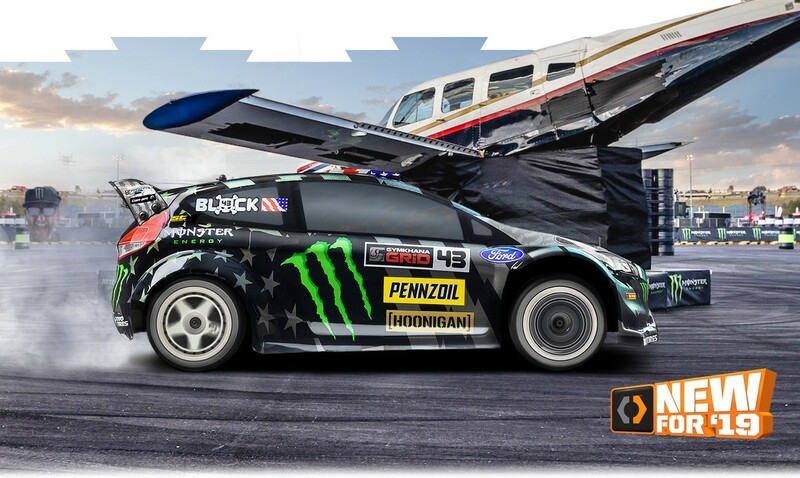 Ken Block continues to pump out the hits, and his latest Ford Fiesta ST RX43 performance car is available now on both FLUX and Nitro version of the amazing WR8! With a brand new 'stars and stripes' livery on the retro classic Chevrolet El Camino SS body, the Savage XS Flux is ready to tear up bashing spots around the world! The Venture is now available in a brand new color scheme - all black! 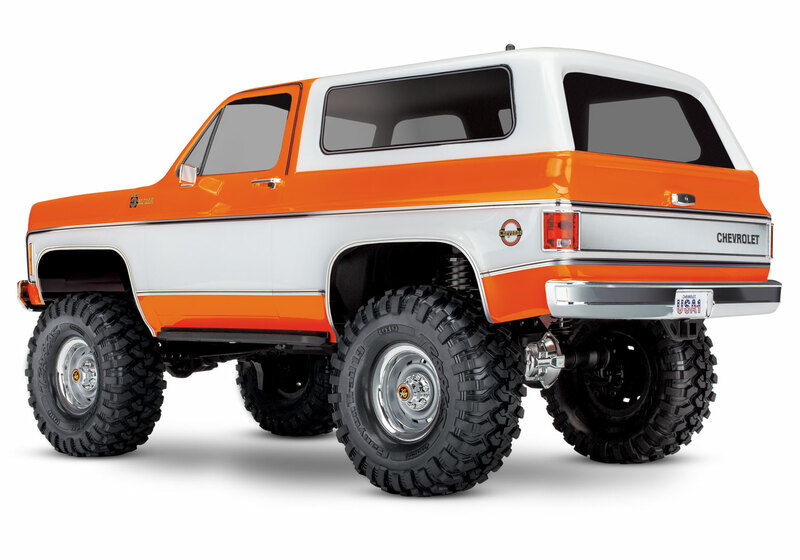 This is the scale crawler truck everyone is talking about, in the coolest color scheme around! 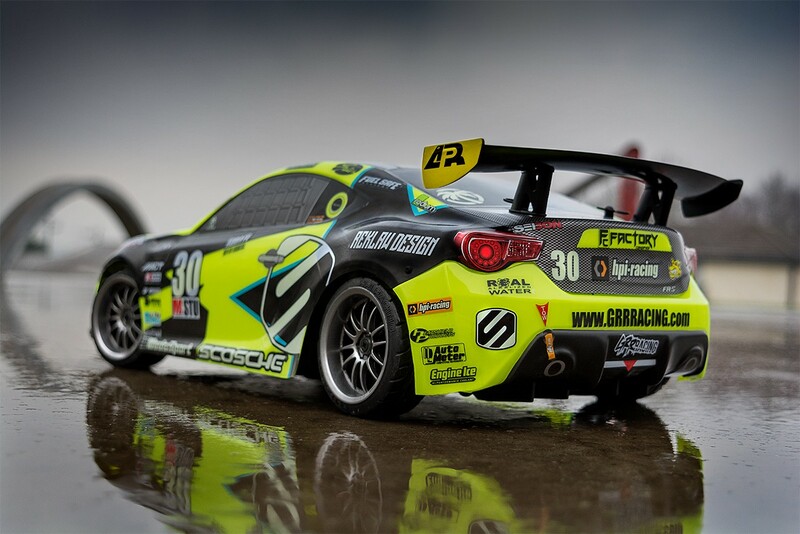 The E10 touring car gets a fabulous update with this amazing replica driven by a huge HPI Racing fan, GrrRacing's 3-time SCCA Road Racing Champion, Michele Abbate! 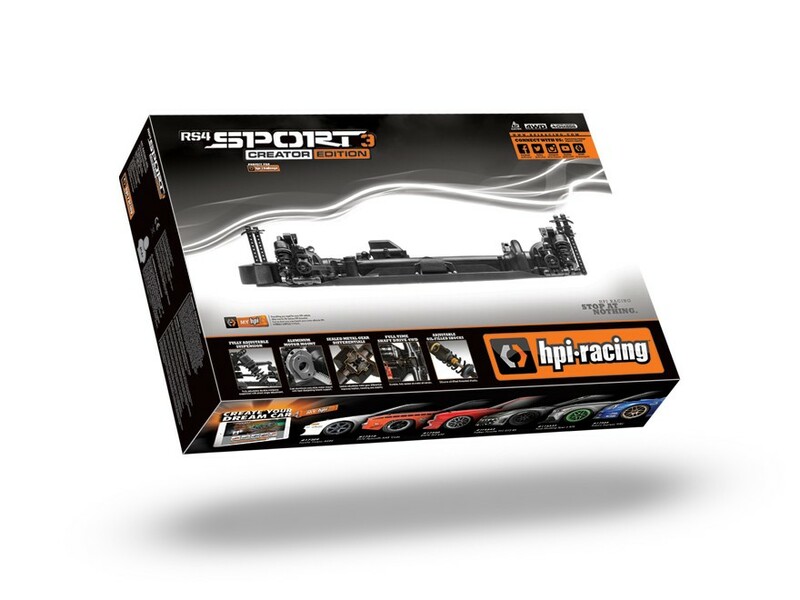 The iconic Mustang RTR-X back is updated and on the perfect fun-haver chassis: the RS4 Sport 3! With a unique shape and custom paint scheme, this really is the ultimate Ford Mustang! 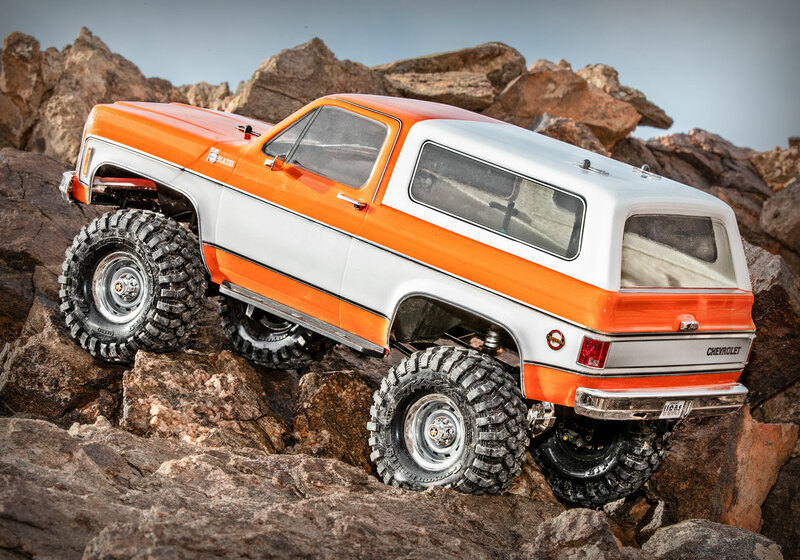 The Venture SBK is a completely build-it-yourself scale crawler kit that lets you totally customize your scale truck experience! 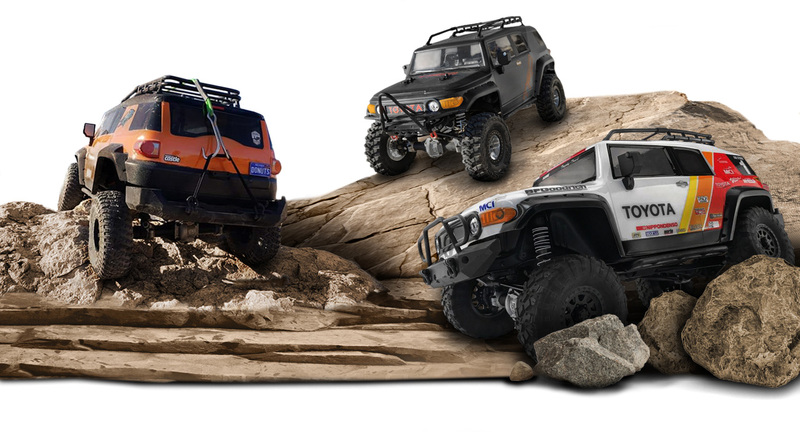 Add any options you wish as you build the truck for fun on the rocks and trail! The latest version of the Crawler King debuts a brand new classic pick-up that adds a vintage touch to the line-up! 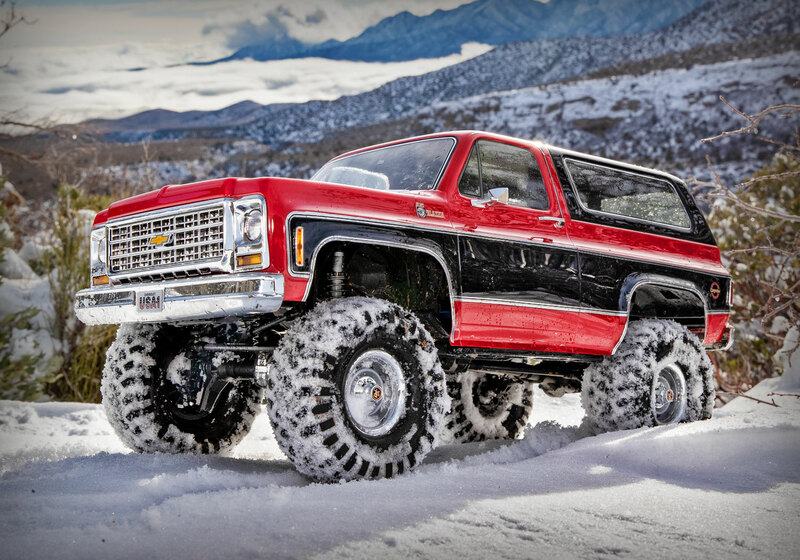 The '79 F-150 is a classic pick-up truck that lets you take on any terrain with waterproof components and full-time 4WD! The chassis-only version of the RS4 Sport 3 inspires RC hobbyists to let their imaginations run wild! Check out what online creators are doing with the RS4 Sport 3 Creator Edition by searching for #HPIBuildOff online and on any social media platform! 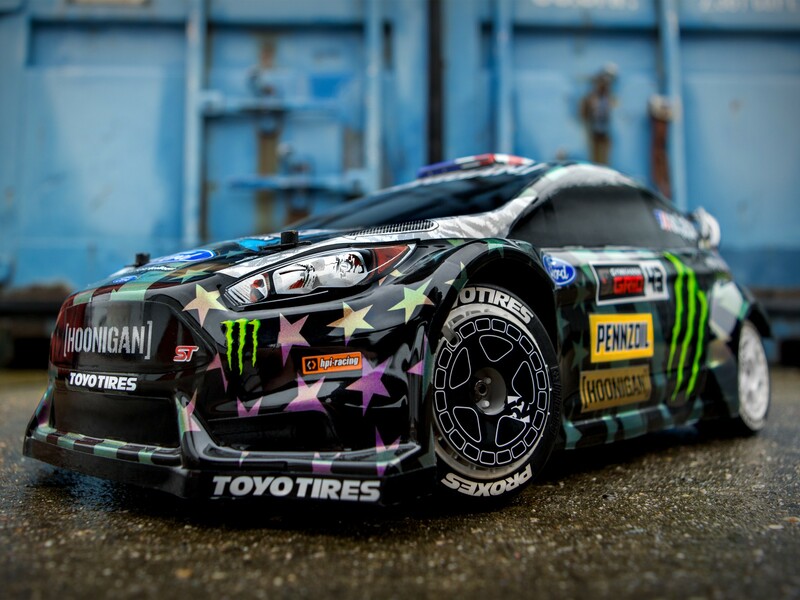 RS4 SPORT 3 1965 FORD MUSTANG HOONICORN RTR! TRX-4 8030 LED Light Kits jetzt bestellbar ! 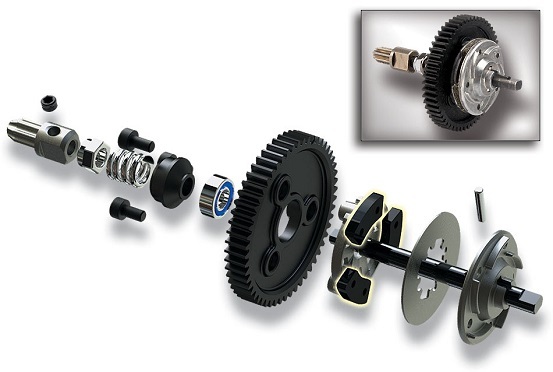 TRX-4 LED Light Kits jetzt bestellen ! 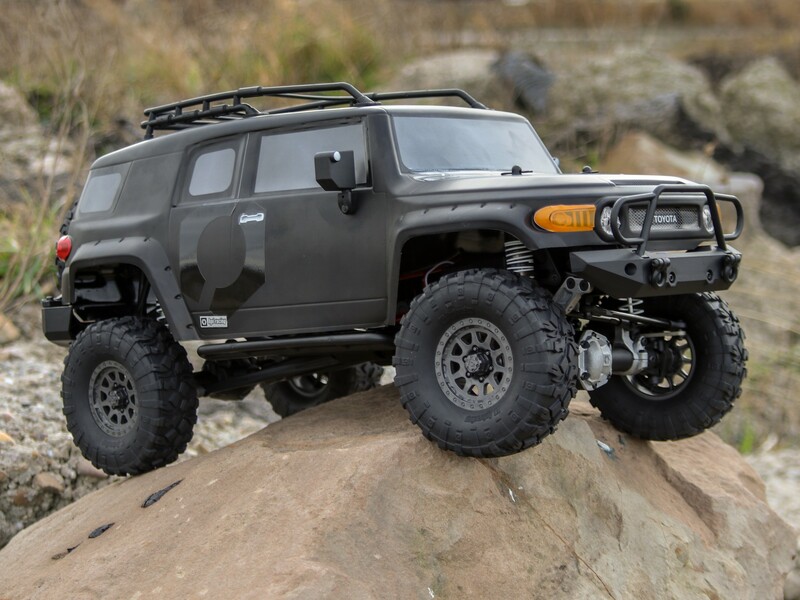 The TRX-4 Scale and Trail Crawler’s extreme off-road capability forges a path to new places and new adventures. 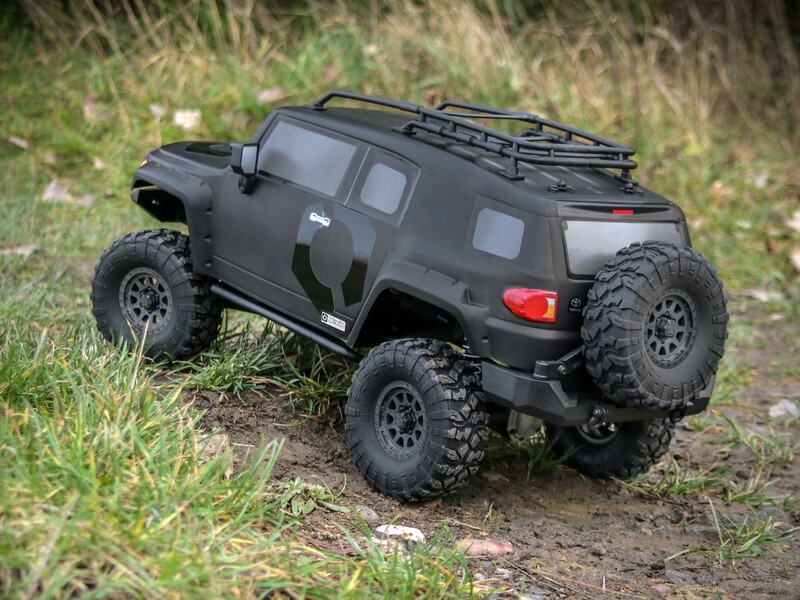 Whether you are negotiating trails, fording streams, or getting technical on the rocks, TRX-4 brings a new level of excitement to outdoor RC fun. The new, custom-fitted LED light kit opens the door to the next frontier of off-road adventure. See your favorite trail like never before as powerful LEDs blaze a trail through the night. It’s just one more way Traxxas turns “no way” into “no problem. Das Traxxas Funny Car kehrt zurück! With over 8,000 horsepower on tap, NHRA Funny Cars are legendary for their mind-blowing acceleration and 300+mph top speeds. The Traxxas NHRA Funny Car captures all the thrills of side by side drag racing action in large 1/8th scale.